Mayo County Council in a collaborative development with Mayo GAA is delighted to announce that it has acquired land at Lough Lannagh and intends to develop it for the purposes of sport, tourism and recreation. The property being acquired comprises approximately 27 acres of land adjacent to Lough Lannagh Holiday Village, the new Castlebar Swimming Pool and GMIT.The land will be developed into two sections, a Mayo GAA Training Centre, which will comprise of 3 pitches to facilitate the training and..
Mayo face Kildare on Sunday in the U20 All Ireland Final in Croke Park. Following wins over Leitrim, Roscommon & Derry Sunday's final will see the Connacht & Leinster champions go head to head. Manger Mike Solan names an unchanged team from that win over Derry in the semi-finals. Throw-in on Sunday is 1.15pm:1. Patrick O Malley - Westport2. Johnny Maughan - Castlebar Mitchels3. Brian O Malley - Westport4. John Cunnane - Ballyhaunis5. Paul Lambert - Westport6. Cathal Horan - Kilmovee7.. The draws for the Breaffy House Resort Junior A, B &amp; C football championship quarter finals took place at the recent CCC meeting, below are the details:Junior A Quarter-FinalsKilmovee Shamrocks v KillalaKilmaine v AchillKilmeena v Knockmore BBalla v Cill ChomainJunior A Relegation PlayoffsBallycastle v Crossmolina Deel Rovers B &amp; Tuar Mhic Eadaigh v Ballina Stephenites BJunior B Quarter-FinalsKiltimagh B v Aghamore B/Claremorris B/Eastern GaelsMoy Davitts B v Aghamore B..
Mayo GAA can confirm that Barry Moran has announced his retirement from inter-county football. The Castlebar Mitchels midfielder made his championship debut in 2005 against Roscommon and played in an All Ireland Senior final a year later. 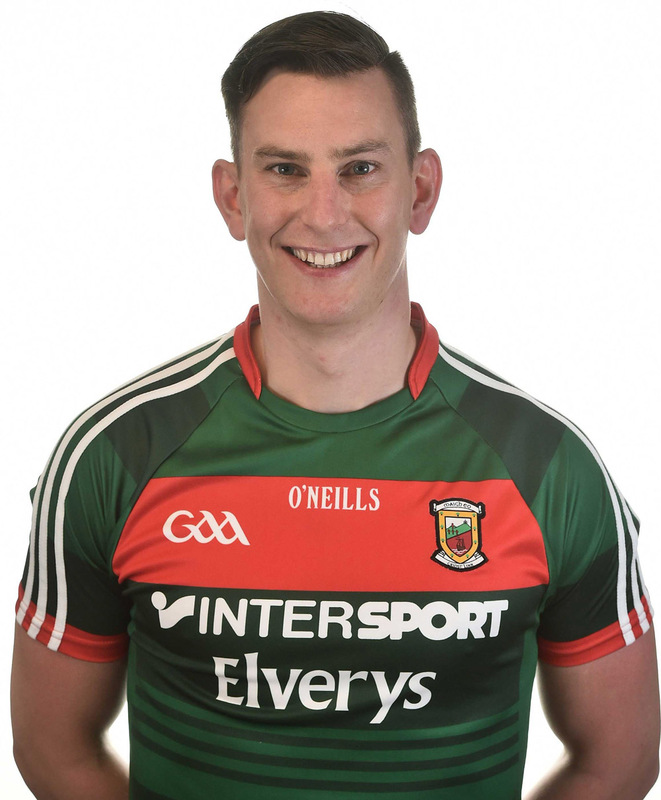 In total, he made 70 senior appearances for Mayo (35 league and 35 championship).He is the holder of six Connacht championship medals and played in five All Ireland Finals, 2006 2012, 2013 and the 2016 final and replay. He was also nominated for an All-Star at .. The Mayo U20's face Derry in tomorrow's All Ireland Semi-Final in Carrick on Shannon. Following a Connacht final win over Roscommon last month manger Mike Solan makes just one change to his starting team. The injured Oisin Mullin is replaced by Colm Moran. Throw-in tomorrow in Páirc Seán Mac Diarmada is 4pm:1. Patrick O Malley - Westport2. Johnny Maughan - Castlebar Mitchels3. Brian O Malley - Westport4. John Cunnane - Ballyhaunis5. Paul Lambert - Westport6. Cathal Horan - .. Draws 1 & 2 of the Mayo GAA 2018 Club & County Draw took place on Friday night in Gibbon’s Bar Shrule. The big prize winner in Draw 1 was Michael Lavelle from Barnacarroll, Claremorris who won the top prize of €10,000. His ticket was sold by Claremorris GAA club.In Draw 2 the main prize of €5,000 was won by Waydex, C/O Padraig Diskin from Castlebar, the winning ticket was sold by Castlebar Mitchels. A big thanks to all who supported the draw by purchasing tickets & to..
Mayo make the trip to Newbridge tomorrow evening as they face Kildare in Round 3 of the qualifiers in St Conleth's Park. 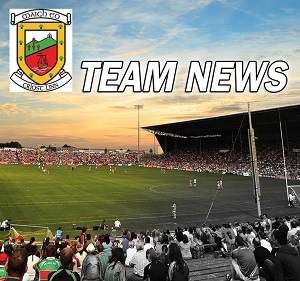 After an eight point win over Tipperary in Thurles last weekend Mayo make just one change to their starting team. The injured Seamus O'Shea(shoulder) is replaced by two time Young footballer of year Diarmuid O'Connor. Both teams also met in Round 3 of the qualifiers in 2016, a game Mayo won 2-17 to 0-14. Tomorrow sees two time All star David Clarke make his 115th M.. Round 4 of the Connacht U17 championship takes place this evening as Mayo travel to Tuam to take on Galway.Manager Tomas Morley names the same team which beat Sligo last weekend in Castlebar. 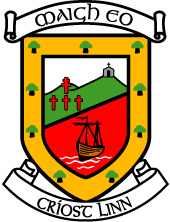 Another another win is vital for Mayo if they want to progress to next months Connacht final. Throw-in this evening is 7.30pm:1. Ronan Connolly - Ardnaree Sarsfields2. Alfie Morrison - Louisburgh3. Luke Dawson - Westport4. Sean Holmes - Knockmore5. Evan Ivers - Belmullet6. Conor Dunleavy - Balla7. Aid..
See below details from Croke Park for Season Ticket holders for Saturday's game in Newbridge:Saturday 30/06/2018 - KILDARE V MAYO - 7.00pmPLEASE READ THE FOLLOWING DETAILS IN FULL:(1) BRING A FRIEND:All Bring a Friend purchases will be cancelled and refunded in full.Any tickets issued for Croke Park on June 30th will not be valid for St Conleth's Park on Saturday June 30th.There is no Bring a Friend option for St Conleth's Park.E-tickets will not be accepted St Conleth's Par..